Transatlantic Holdings rebuffed Berkshire Hathaway’s cash bid of $3.25 billion, ensuring the deal would expire by market close on Monday. 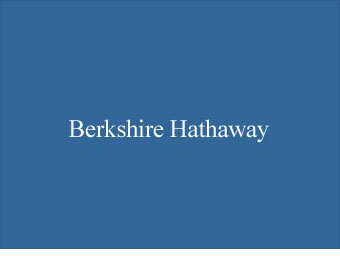 Berkshire Hathaway informed Transatlantic on Friday that its offer of $52 per share would not increase. However, Transatlantic said in a statement that Berkshire’s “opportunistic” bid is far below its value of nearly $70 per share. The death of the Berkshire deal marks the end of another merger opportunity for Transatlantic, which canceled its proposed merger with Allied World Alliance last Friday amid shareholder opposition. Validus Holdings is the only remaining bidder at the table, as it pursues a hostile stock-and-cash bid bid worth $47.41 per share or $2.96 billion. As part of its negotiations, Validus is attempting to replace Transatlantic’s Board of Directors to leverage its position. Transatlantic is a holding company which provides fire, marine, and casualty insurance through its subsidiary companies. Osterweis Capital Management, managed by John Osterweis, decreased their position in Transatlantic by 3% last quarter, which brought them to nearly 2 million shares. Here are the top hedge funds with positions in Transatlantic Holdings. Ted Weschler Becomes Buffett’s Fund Manager Warren Buffett: Higher Taxes Don’t Reduce Economic Output Best Stock Picking Hedge Funds in August Warren Buffett Will Buy Italian Jewelry Brand Hedge Fund News: Campbell Leadership Handoff, Buffett’s Gain in GE, Maverick... Is Todd Combs Smarter Than Warren Buffett?